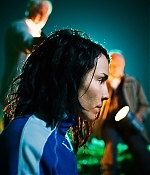 The film albums have been updated with additional production stills, promos, on-set pictures and posters from Noomi’s films throughout the years. Besides posters for her early Swedish work, there are some additions for the “Millennium” trilogy as well as “Prometheus”. To launch all last added pictures, simply click one of the previews below.